You may not know Sonoya Mizuno by name—yet—but you’ve definitely seen her before. Maybe it was in Ex Machina, in which the 32-year-old made her acting debut opposite Oscar Isaac. Or perhaps you spotted her in Annihilation, La La Land, or Beauty and the Beast. You most likely saw her this summer, thanks to the one-two punch of starring roles in blockbuster Crazy Rich Asians and Netflix’s sci-fi thriller Maniac. In Crazy Rich Asians Mizuno stands out as Araminta, the over-the-top bride who greets Rachel (Constance Wu) and Nick (Henry Golding) with a giant bunch of balloons, rents an entire island for her bachelorette party, and literally walks on water down the aisle. 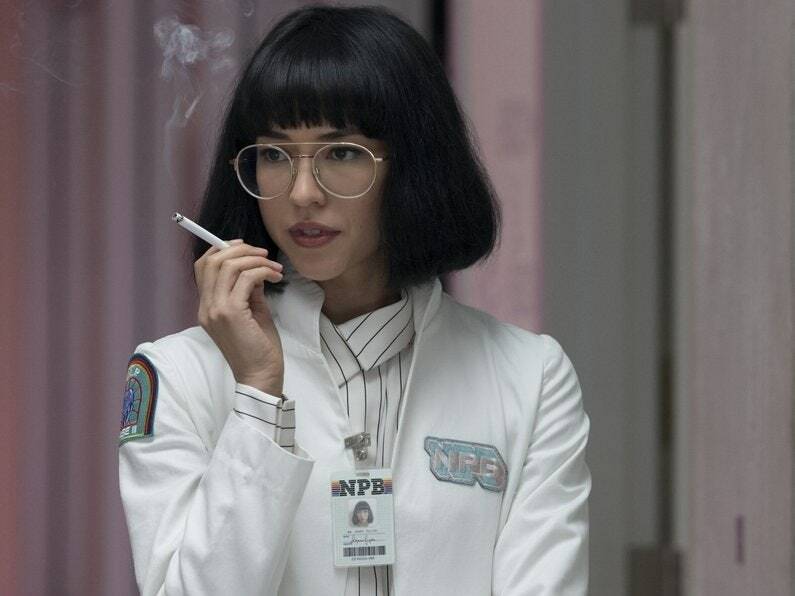 Then the actress transformed herself by putting on a truly iconic wig and oversize frames to play Dr. Azumi Fujita, the doctor behind a morally questionable drug study in Maniac. Yeah, those characters are played by the same person. Proof alone that Mizuno is a chameleon. More proof: Despite Mizuno starring in two of the biggest hits of the summer, she remains relatively anonymous in the public eye. When we met at her favorite East Village coffee shop, nobody asked for a selfie. No autographs are given. No one sneaked a covert photo from the other side of the room. Mizuno likes it that way. After Ex Machina, Mizuno started honing her craft with acting teachers like Mario Campanaro in Los Angeles. She got a few parts; first as one of Emma Stone’s friends in La La Land, followed by a dance cameo in Garland’s sci-fi thriller Annihilation. But she put all her eggs into the Crazy Rich Asians basket after she met director Jon M. Chu at a K-pop concert. That’s why Mizuno wants to build her career on roles that have meaning to her. Roles that aren’t too similar or portray stereotypical Asians. It’s what guided her toward Maniac, because doing the series meant transforming herself and staying with the character for a long time. Next up, Devs will be her biggest role yet. She plays Lily Chan, a computer engineer investigating her secretive tech company employer after the murder of her boyfriend.